This month, we hear from Dr. Roberta Baer, Professor at the University of South Florida. She shares what she’s learned from four service-learning projects conducted with Burmese refugees living in Tampa, Florida, and offers advice for instructors who’d like to incorporate service learning into their classes. LRM: I wonder if you could tell me a little about yourself, and give a brief overview of the four community-based projects you’ve done in your classes? RB: I went to grad school at the University of Arizona, and my dissertation research was on nutritional anthropology. I looked at income allocation in Northern Mexico and how that affected diets and nutritional status. Then I did medical anthropology for years and years, and didn’t do anything big in nutritional anthropology until I got mixed up with the Burmese refugee community around 2010. At that point, I was teaching a class on ethnicity and healthcare, and I wanted a project for my class. My department’s grad program is very applied, and we try to have community-focused research projects for our students to work on in our graduate elective classes. I talked with a friend who worked at Lutheran Services of Florida and suggested the idea of my class doing a project for them. It turned out that the same time that I was pitching the project, a group of some of the more educated Burmese refugees were trying to start an ECBO, an ethnic community based organization. In order to do that, they needed to have some sort of needs assessment. We made a deal that I would do a health needs assessment, they would act as interpreters for me, and Lutheran Services would help in a variety of ways. The research would then be available for the community organization to use to apply for funding. My students interviewed about 24 of about 27 households of Burmese refugees who had been resettled in Tampa by Lutheran Services Florida. We looked at diet, traditional remedies, mental health issues, and sources of stress. A big source of stress for a lot of the parents was child discipline, which is very different in the United States. Parents weren’t sure what they could do to discipline their kids, and the kids were saying, “oh we’re Americans, we’re free” or you know, “you do anything and I’m calling 911.” We also found a lot of dental problems; the longer people were in the United States, the more dental problems they had. That was the health needs assessment. We wrote it all up and gave it to the community. Robbie Baer and students working in community garden. I suggested this to the garden advisory board, who thought it was great. I ran it past the Burmese community, and they thought it was fine. So, in Spring 2014, my students did a very complex project. There were 13 families involved in the garden. We interviewed one adult and one child from each family, and since our best access to them was on Sundays, we asked them about what they ate on the previous Saturday, figuring that was the most Burmese day and we could see how traditional their diets were or weren’t. We did 24-hour recalls with them, using interpreters. Then, the health department was interested in us finding out about people who were diagnosed with chronic illnesses, how they understood them, what they were doing about them, so we interviewed three people with chronic illnesses. Other people on the garden advisory board were interested in finding out what people were planting in the garden, and what those things were used for. So we did an inventory in the garden of everything that was being grown there… walked around with the farmers, wrote down the names of everything in Karen or Kayah, which are the tribal languages, or Burmese, took photographs of it, the whole nine yards. It turned out that some plants were used for food, others as medicine, and some as pesticides. Then we did two focus groups, one with men and one with women about: what did people like to eat? What they liked about American food, what they didn’t like about American food. It was very interesting—their big concern was not about nutrition. They had very little interest in nutrition. We asked them, “is there a relationship between food and health?” “Not really,” they said, but their big concern was that they didn’t want to get fat, and they thought American food could make you fat. That came out in the focus groups. Then, we had two teenagers who kept records for us of what they ate during the week. Basically, during the week the kids were eating school breakfast and school lunch. On Saturdays, people were pretty much eating Burmese food. So we made some recommendations based on that study. Then it occurred to me that what we really needed to do was figure out what the kids were eating during the week. I had another class, a qualitative methods class in Fall 2014. We did three-day recalls with all of the school-aged kids. There were 24 of them. Then, focus groups: one with the little boys, one with the older boys, and one with the girls, looking at the kids’ attitudes toward food, American food, Burmese food, body image, school lunches, etc. I am doing the fourth part of this project this fall. I am teaching the Anthropology of Food again, and we’re going to look at two-day recalls of the adults, of what they’re eating during the week, and how much American food that they are eating, and what it consists of. And again, heights and weights. LRM: What is the level of each of these classes? Undergrads, graduates? RB: The very first one, the health needs assessment, was all graduate students. The one on weekend food was a mixed class of undergraduates and graduates. It was 34 students, and that was really hard. It was so many students, and so much data, and it was really crazy. The methods class was 13 undergraduates, and the class this fall, Anthropology of Food again, will have about 25 students, mixed undergraduate and graduate. It’s really hard when you have a lot of students. And it’s really hard with undergraduates, because graduate students…you know, I would let go out and do home visits on their own, but undergraduates I don’t feel like I can do that, and the neighborhoods that we’re working with are not the best neighborhoods in the city, they are very low-income neighborhoods. So, basically, if my students are doing fieldwork, I’m out with them. LRM: This sounds incredibly time intensive for you. Did you set individual appointments for each student group that was doing the interviews, and going out with the students in small groups? RB: I scheduled things. I ran the focus groups, but the students came and took notes, because we would get a focus group going in three or four languages, so there was no point in taping it because you couldn’t find anybody to transcribe it. We’re always operating in multiple tribal languages, Burmese, and English. So, my students just take notes in English. We miss a lot of what goes on, but this is the best we can do. I set the time for the focus groups, I set the time for the Sunday interviews. We met with people after Sunday evening church services, because there was already a group of people all in one spot. And then, the work at the garden—the plant inventories, we scheduled particular Saturdays, because in these kind of projects you have to connect at least four dots. There’s the dot of me, the dot of the student, the dot of the interpreter, and the dot of the person you’re interviewing. The scheduling becomes really, really complex, so I do it in groups. If there were any people that we hadn’t managed to catch at church, we sent out the word in the community that we were missing these people and was it okay if we came to their houses? People told us it was fine, so one evening we went out in a group—because again, these are not great neighborhoods—from house to house and caught up with the people we were missing. When we interviewed the kids, they were actually the easiest group. That was Fall 2014. Someone lent us their apartment, and the kids were told to come to that apartment after school. They came in three waves, when elementary, middle, and high school dismissed. So, we just connected with the kids on three weekdays and did recalls with them. There were a couple of kids who lived in other complexes so we went and visited them. And then the focus groups we scheduled, I think on Sunday afternoons or something, again at the apartment complex where most of the kids lived so they could just walk over. So that was actually pretty easy. LRM: Did you encounter any issues with students who weren’t able to meet on the weekends, or do this outside time? RB: This was a big problem, because most of my students work 30 hours a week and are taking 15 hours of classes. I scheduled things at a whole variety of times, so there were some things that went on during the week, and you had various weekdays. Some things that happened Sunday evening, which is actually a good time—most students don’t work Sunday evening. Some things that happened Sunday afternoon. The dates were set before the semester started. When students came the first day, I said, “you’ve got to be able to make one of these. You’ve got to make food recalls on a Tuesday, Wednesday, or Thursday. Or, you can come to a focus group Sunday afternoon. Or, you can do this on Sunday evening. If you can do more than one, that’s great, but you have to do at least one, and you have to participate in analyzing the data.” That works pretty well. It gives them a variety of times they can plug into, and if you can’t plug into a single one of those times, well—it’s the first day of class, they can not take the class. LRM: I wonder if you could talk a little bit about what kind of prep this required on your part. When you’re thinking about prepping a new course, it’s very time intensive…how does this kind of project affect your course prep? RB: The project kind of takes over my life. It gets really crazy during the data collection. Once we have the data, the analysis is pretty easy. I leave a couple of classes totally free for analysis. So, there’s usually about 2-3 weeks at the beginning of the semester of set up, and then I allow about 4-5 weeks for data collection, then it stops, and then at least 5 weeks for data analysis. It’s those 5 weeks of data collection, which are really crazy. I always have back ups, if we have more data to collect and none of my undergraduates can do it, some of my graduate advisees will come help me out, or I’ll do it. It takes a lot of planning. I hear about people who do community projects on the fly… I don’t know how they pull it off. Mine take a huge amount of planning. For example, the one that I’m doing in this next Fall on adult weekday food… adults are hard to get a hold of, so I’m going to throw 2-3 meetings on Saturday nights, and invite the entire community to come. We’ll do recalls from Friday’s food consumption. I’ll bring some snacks, and while people are eating, we’ll weigh people, measure them, and do food recalls. LRM: You said you take a couple of weeks in the semester for what you called “set up” in the beginning. What does “set up” include? RB: Set up is a little bit of background on whatever group we’re dealing with. Students will read the reports done by previous classes about what we already know about the community and their diet. Depending on the situation, I either have to go through IRB in the beginning or not. If it’s a class project I often don’t, which mean the students can create our instruments. So, if we’re doing some sort of qualitative questionnaire, they get to create that. Focus group guides, they get to create that, with of course my input. I also teach them how to do 24-hour recalls. I teach them all of the skills that they’re going to need to be able to do the data collection. On one project, I actually got a small grant, but to get the money, I had to do IRB first. I created a bunch of the instruments, but I’m going to let the students tinker with them, and then send it in for a modification request. It’s very interesting for students to start with a problem, create a questionnaire, collect the data, do the analysis, and write a report. Sometime they think that stuff in books…I don’t know, God does it or something…so for them to see the actual process is really valuable for undergraduates. It teaches them to be critical of knowledge and critical of information. Critical of data. LRM: Can you tell me about the other content in the course? What are you doing while the data collection takes place outside of class? RB: During that time in class, what we’re doing is discussing the readings. The readings look at all sorts of factors related to food consumption patterns. We read studies on ethnicity, and religion, and subsistence patterns, we look at contemporary issues of malnutrition and obesity. The role of income, prestige… we do readings on all of those things, and some of that may have been worked in to a questionnaire. They don’t recognize it when they are doing the questionnaire, but when they do the readings, they see it. “Oh, yeah, that’s why we asked people, ‘what do rich people eat, what do poor people eat?’ ‘What do you serve when you have an American guest? What do you serve when you have a Burmese guest?’” And they start to understand why some of those questions are there, and the larger literature to which those questions actually pertain. LRM: To what extent are you talking about the project while you’re doing this other content and addressing readings in class? RB: It’s all a back and forth. At the beginning of each class, we’ll talk about, “People who did data collection at church last Sunday night, tell us what went on, how did it go, what were you hearing? People who came to the focus group on Friday night, what kinds of things were you hearing?” It’s back and forth all the time. And remember, not every student is involved in all the data collection. I usually have the ones who go to the focus group do the focus group analysis, but then they all present to the community organizations on the last day of the semester. So everybody gets to hear the results, and everybody’s really interested! LRM: How does the project factor into the grading for the course? What other kinds of graded assignments do you have? RB: There’s a couple of other individual assignments, because undergraduates freak out if it’s all group assignments. They hate group assignments. One individual assignment is the 3-day recall and analysis of their own diet. There’s at least one other project related to ethnicity, or religion and food, or income and food. So, there are two individual projects, and then they have to participate in the group project, and they have to participate in the analysis and the presentation, and I think that’s worth 25% of their grade. I have them do a reflection paper at the end on what they thought of the project. Then I have also another individual assignment, which I call essay sets. Essay sets are sort of like a take-home exam. I give them some questions, they take them home, and I ask them to synthesize themes from the readings and lectures. That’s my way of making sure they did those assigned readings. LRM: I would love to know a little bit about what students have gotten from this project, and what you’ve learned from those reflection papers. RB: Basically, that the project really made them understand different perspectives on food. They love the opportunity to work with a very different cultural group outside of class. So that was always very successful. One big problem with working with American college students is that they’re all obsessed with nutrition. Food is all about nutrition for them. It’s really good to plop them down on the floor, without their shoes, in some Burmese refugee family’s home, with people who have no clue about the relationships between nutrition and food and health. The Burmese eat rice, and vegetables, and meat, and chiles, because that’s what they’ve always eaten. They drink soda because that’s what Americans drink. You know… all this [nutritional] analysis that’s so predominant in American culture is just not there. It really makes students stop and think about how culture-bound their own perceptions are. Students also love doing the fieldwork. I mean, the highest evaluations I’ve gotten in 31 years of teaching came from the Anthropology of Food class, when they were doing the stuff with the garden plants and the weekend food consumption. They just couldn’t believe that class. They just loved it. Undergraduates, as a rule, don’t get to do that. And Burmese refugees are kind of exotic… they live about a quarter of a mile from campus, and I make the students do the whole thing. I say, “at the door, you take off your shoes, because that’s what you do in Asia, you come in, you sit on the floor… people will offer you chairs and you say no, you just sit down on the floor, because that’s what people do.” And having to work through interpreters and all of that… I mean, here we are a quarter of a mile from campus, and people don’t speak English. You know, it reinforces the idea that learning another language might be a good idea. LRM: Do you have any thoughts or suggestions for other faculty members who might be interested in incorporating a service project into one of their classes? RB: Well, you need a solid community connection that you can count on. Anything that will possibly screw up will screw up. You’ve got to have real flexibility, because different people will show up than the ones you expected. For example, one day we had a focus group scheduled for one of the ethnic groups, and I had a bunch of Karen interpreters. I expected to get men and women from the Karen ethnic group to come to this focus group. Instead, a whole group of women from two different ethnic groups came, Karen and Kayah, and not a single man. I had to have good enough community connections to scramble and make a couple of quick phone calls and get a couple of interpreters for the Kayah, and then run this quadrilingual focus group. I’m a very organized person and it takes every bit of organizational skill I can wrest to pull this off. I often have nightmares in the course of the data collection, you know, “is this going to work out?” I get calmer having done more of it, but you know… there’s always that in the back of my mind. “Will anybody show up?” It takes a lot of planning. I always go to the community long before I do one of these projects. For the Anthropology of Food class that started Spring 2014, I went to church, which is where the community gathers, in December, and said, “Hey, this is what I’m thinking about doing with my students, this is why I want to do it. This is what I’m going to ask the community to do.” It’s basically a short verbal IRB consent. There’s a lot of logistics involved. A little bit of money is really helpful. The health needs assessment I literally financed by going to the groves and getting bags of inexpensive citrus. Every family we visited, we gave a bag of oranges and grapefruits, which you can do in Florida. But, having a little more money helps. Being able to pay my interpreters. In the community where I work, the standard pay for an interpreter is a $15 Wal-Mart gift card. Not a supermarket gift card, not a different kind of gift card, not $15 in cash… it’s a $15 Wal-Mart gift card. So that’s what I give people. Except, again, for the first project, when I didn’t have any money at all. Since then, for the later projects, I’ve had $750 to run each one. This came from our university’s Office of Community Engagement. I probably spent a bunch of my own money also, because, we just needed more money, so some of it came out of my pocket. 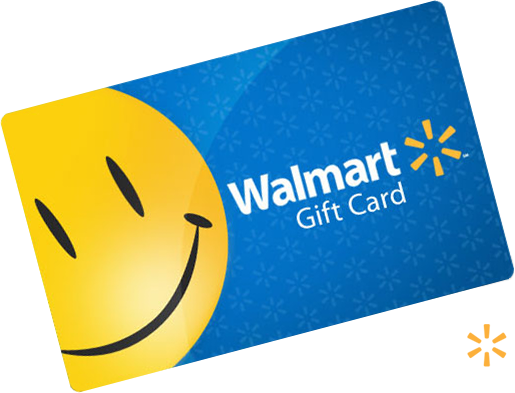 WalMart gift card, the currency of choice for the Burmese community. I also had to buy a smartphone to keep up with the Burmese, who are incredible texters. My flip phone would no longer work. I’ve found that texting is a fabulous way of making appointments with people. I’m dealing with people whose English is not so good, and talking on the phone is really hard. And the family may own one phone, and who knows who’s got it today, who knows who will answer the call. But if you text somebody, and you say, “This is for Bue Lay, this is Robbie from the university, I’d like to come to your house at 4:00 on Friday, will you be home, is that ok?” I text it, somebody gets it, they bring it to her, if she doesn’t understand it, she gets one of the kids, whose English is pretty good, to translate. She then answers, the kid translates that into English and texts me back, and I’ve got my appointment. So, this is a really good way of dealing with language issues, of which we have zillions. LRM: When you have mixed classes, do you have any differentiation between the roles of the graduates and undergraduates in the class? RB: There’s more work for the grad students. I also put the grad students in charge of each analysis group, so maybe where there’s six people analyzing focus group data, there’s a grad student or two grad students put in charge of coordinating that. LRM: Does all of the data analysis happen during class time? RB: As much as I possibly can, because it’s hard for 5 or 6 students to schedule to get together. They do a fair amount of work electronically, but I try to leave at least portions of many classes for them to connect, organize, go off and do individual parts. So, I would say 50 to 75 percent of analysis is going on in class or is organized in class. LRM: What do you most want students to get out of the class and the project component? RB: I want the readings to come alive. I want the issues to come alive. I think if they’re doing field research of this type, it all does come alive. When we talk about ethnicity and food consumption and globalization and all that, you know, if all of a sudden Burmese refugees are eating pizza, or drinking sodas… they see those processes playing out. We talk about obesity. Well, they’re analyzing the data, and we have some little kids who are drinking 8 portions of liquid calories in a day. So they’re not just reading about it. It’s like “wow, this is real! Listen to what this little kid is telling me he’s eaten.” You know, it’s that kind of stuff. LRM: And do you feel like students are able to break out of their strict focus on food=nutrition? RB: They have to. I have to push them, but they have to be able to do this. It also shows the undergraduates that anthropology can be really practical. It can be really useful. Here’s an anthropology class, and we’re writing a report at the end, and it’s making recommendations to community agencies about what they should be doing for this group of refugees. It’s practical. LRM: Do you have any particular readings that you utilize in your course that work very well, or that you would recommend to other instructors? RB: There’s some old stuff that is quite interesting, at least to me. I use John Bennett’s Food and Social Status in a Rural Society, written in 1943, which looked at income and diet in southern Illinois. Then, the lowest status item was fish, because people could get it for free. Now, fish is very expensive, and really wild fish is incredibly expensive. All of these things about prestige related to food go ’round and change over time, and when you read something that goes that far back, it can be really interesting for students to see how it comes around. There’s a reading on the syllabus by Nancy Rody, “Things Go Better with Coconuts“—it’s a nutrition education program that was done in Micronesia many years ago. Basically, they tried to increase the prestige of local foods over imported commodities. They used the prestige and ethnic identification with local foods and beverages as a way of decreasing soda consumption. I think some of these themes in the early work in the anthropology of food are still really important. There’s this tendency to say, “well, if it wasn’t written in the past 3-5 years, you know, what could it possibly be good for?” but if you look at some of that earlier stuff, some of it is really great. LRM: Thank you for your time, and your excellent suggestions regarding service learning and lesser-known readings! 1977 Social and Cultural Implications of Food and Food Habits. In Culture, Disease and Healing. David Landy, ed. MacMillan Publishing Co. Inc.: New York. Pp. 236-242. 1971 Technological Change and Caloric Costs: Sisal Agriculture in Northern Brazil. American Anthropologist 73(31):725-740. 1983 In Somos Tocayos. Appendix C. Pp. 197-207. University Press of America, Lanham. 1970 Socio-Cultural Basis of Food Habits. Food Technology 24:751-757. 1978 Things Go Better with Coconuts – Program Strategies in Micronesia. Journal of Nutritional Education 10(1):19-22. 1991 “I Gave Him a Cake”. In Creative Ethnicity. S. Stem and J. A. Cicala, eds. Utah St. Univ. Press. Logan. Pp. 44-54. 1995 Food Chain. Natural History 8(95):62. 2011 A Health Needs Assessment of the Burmese Community in Tampa, Fl. 2014 Dietary Issues for Burmese Participants in a Community Garden. 2015 Weekday Diets of Burmese School Aged Children. Thank you for a really insightful post!